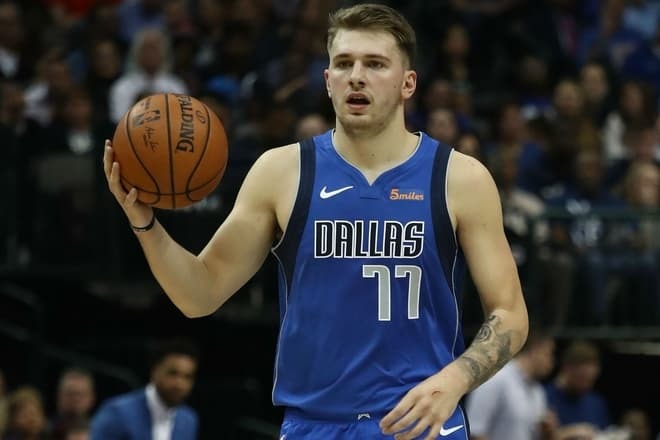 Luka Dončić is a young talented basketball player from Slovenia. He started playing basketball in his childhood and became a recognized athlete as a teenager. The man has won many titles; he was the youngest player to receive some of them. Luka Dončić nicknamed Wonder Boy was born on February 28, 1999, in Ljubljana. The boy’s father, Saša Dončić, was a professional basketball player who finished his career in 2010 and became a coach. The mother, Mirjam Poterbin, used to run hurdles and worked as a model and dancer. Luka’s origin is mixed: he has Serbian roots from the father’s side and Slovenian background from his maternal line. In 2008, the would-be athlete’s parents divorced. The boy stayed with his mother but did not stop communicating with his dad. According to the parents, Luka touched a basketball ball at seven months. He liked sports including soccer and basketball from early childhood. However, Dončić had to quit the former: his height began to be a problem. 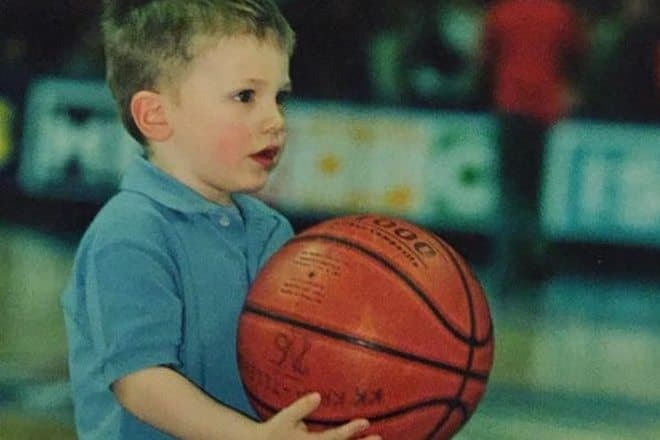 Luka took up basketball at seven. At that time, he attended an elementary school in Ljubljana. The boy practiced with elder children mostly. Today, the sportsman believes that helped him develop an intellectual approach to sports: rivals were taller and stronger, and the boy had to think about his tactics. The Greek basketball player Vassilis Spanoulis was the young talent’s sports icon: he was just mesmerized by his playing. When Luka was eight, the father began to play for the Slovenian club Union Olimpija. The basketball school coach invited the boy to try himself with his peers. In the first 16 minutes, Dončić played so splendidly that he was teamed with eleven-year-old children. At 14, Luka played for Olimpija at Vasas Intesa Sanpaolo in Budapest; he was named the most valuable player in September 2011. In 2013, Real Madrid invited the athlete to present the club at Minicopa Endesa, the championship for under-14 players. The youngest player, Dončić helped his team take the second position. In the 2014/2015 season, the sportsman worked with Real Madrid and their reserve team; by the end of the season, he had collected prestigious prizes from all leagues at Eurobasket.com. 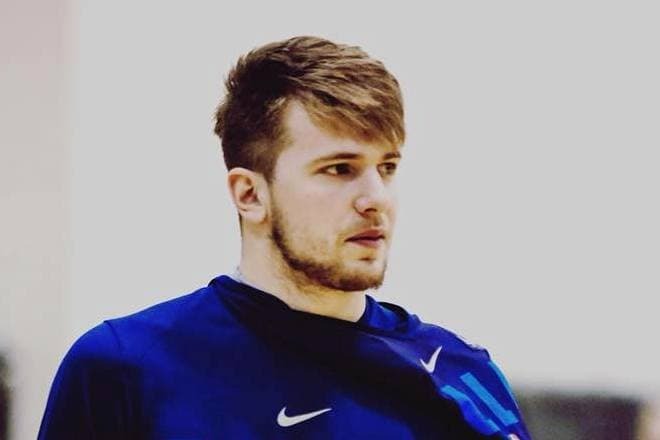 in January 2015, Dončić won Ciutat de L'Hospitalet tournament and joined the main team that participated in all competitions; at that moment, the man was at least two years younger than other athletes. On April 30, 2015, Luka debuted in the Minicopa Endesa with Real; he became the youngest athlete participating there. The 2015/2016 season was marked with the permanent membership in the team. 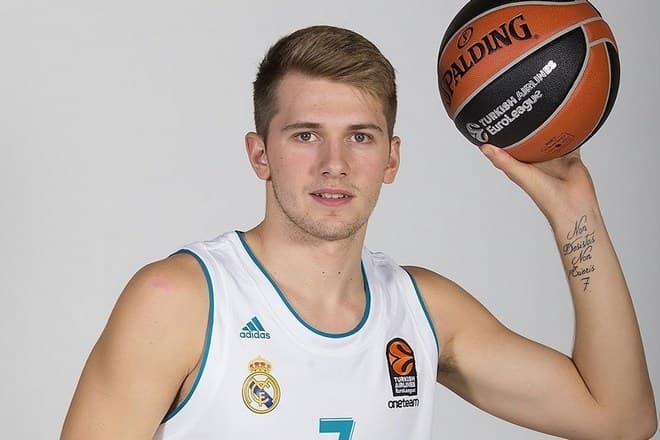 Soon, 16-year-old Dončić debuted in EuroLeague: only 20 players managed to do that before turning 17. The 2016/2017 was successful for the young sportsman: he was popular among the audience and basketball experts. On December 4, 2016, Luka earned the Most Valuable Player title in the Minicopa Endesa thanks to his personal result in the match between Real and Fuenlabrada; the Madrid team gained the victory. On December 22, the athlete’s team defeated the German club Brose; Luka became the most valuable player of the week in EuroLeague. Once again, he was the youngest player who got the prize. Throughout the season, the player participated in 42 Minicopa Endesa games; his average result was 7,5 points, 4,4 rebounds, and three passes. In EuroLeague, the results were as follows: 7,8 points, 4,5 rebounds, and 4,2 passes. Thus, the young man earned the EuroLeague Rising Star title and Best Young Player. Dončić positively influenced the Real Madrid statistics; it was particularly important after Sergio Llull’s trauma when he had an anterior cruciate ligament tear. On September 24, 2017, Luka was named the most valuable player of EuroLeague; he had 27 points, eight rebounds, five passes, and three steals. Later on, in December, Dončić got the ACB Player of the Month title; he was the youngest sportsman to achieve that. Besides, the season brought the second EuroLeague Rising Star award. 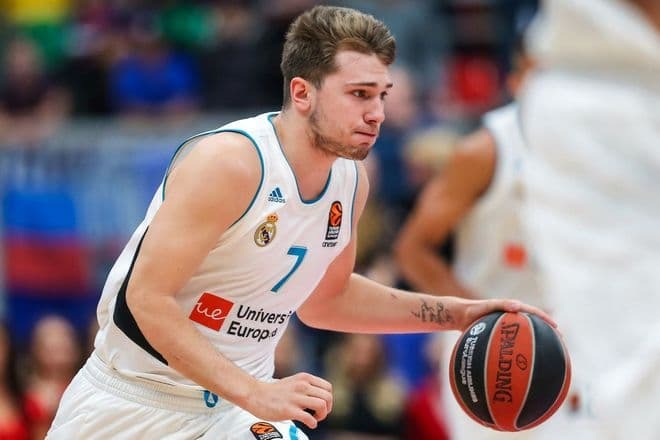 On June 29, 2018, Dončić left Real Madrid to continue his sports career in NBA. 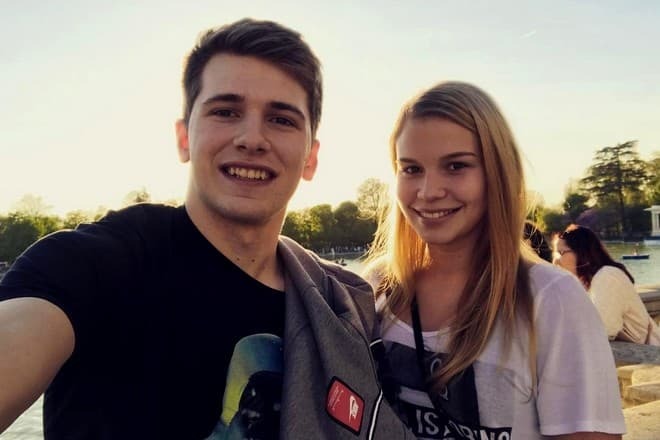 Similar to other popular athletes, Luka Dončić’s personal life is always watched. However, there are no scandal details there. The man has been dating the model Anamaria Goltes since 2016. While Luka posts game photos mostly, the woman’s account is full of the couple’s pictures. Luka has several tattoos. There is a Latin proverb “Non desistas, non exeries” on his right forearm: it can be translated as “Never give up, never surrender”. The picture of a tiger is right above it: Dončić loves this animal and even says he would like to have one as a pet. In 2017, the sportsman got another tattoo: the picture of the EuroBasket cup on the right side. Luka’s mother plays a significant role in his life: she has always supported her son and assisted him in his career. Many people admire the woman’s appearance: she looks beautiful. Thousands follow Mirjam on her Instagram. Sometimes, she posts her son’s childhood and youth photos. Luka’s measures are beneficial for a basketball player: the man’s weight is 227.08 lbs. (103 kg.) while his height is 6.66 ft. (203 cm.). Dončić can perform multiple functions thanks to that: point guard, shooting guard, small and power forward. In summer 2018, after the athlete left Real Madrid, he joined Dallas Mavericks. According to the coach, Rick Carlisle, it is an excellent achievement for the club. Although Dončić had no time to participate in NBA Summer League in 2018, he is likely to receive the NBA Rookie of the Year Award in the 2018/2019 season. In November 2018, the young man took the first step to that and won the NBA Rofokie of the Month Award. Nowadays, the athlete is focused on meeting the expectations of his coaches and colleagues. Fans are looking forward to Luka’s new achievements and victories. The sportsman’s net worth is $5 million in 2019.